but how true na meron dw na food poison last week na about 10 people after nilang kumain sa Blue Lagoon, one of that is Ms. Leila Santiago, granddaughter of Mayor Ana of abucay, ni try bayaran ni Mr. Tagle mga victim para di na magreklamo, but unfortunately namatay ang isa sa mga victim si Luis Cruz ng Orani, Bataan. Hi, good to read about this. 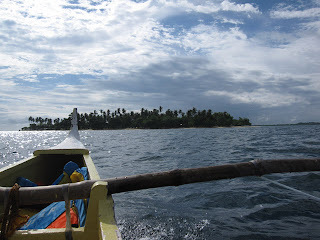 If anyone wishes to know more about Candelaria, Potipot island and the beaches there, do have a look at my blog - expattraveller.blogspot.com. I have posted photos of our visit to Potipot - the beaches are pure white fine sand - just like talcum powder!